A lady strong strong administrative control with a polite approach. She possessive analytical abilities. She manages issues very emphatically. 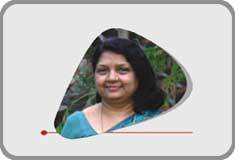 She associated with the group since inception of the Company. She is the great motivator observer and strong decision maker. A Civil Engineer and Management graduate, Mr. Puneet Agarwal, has proved to be an asset to the Group with his impressive real world business successes and credentials at a very young age. The force behind the Group's construction division, he shares his father's vision of taking the Pushpanjali vision far and wide. He not only knows the local and regional markets closely, it's to his credit that Pushpanjali marches ahead notching up plum real estate deals al over the country. Mr. Puneet is a self driven, workaholic entrepreneur working tirelessly. He is a very enthusiastic man with clear vision & totally focused on the mission, he is the man with strong will power and a role model of his team. Mr. Mayank Agarwal- Director Pushpanjali Hospital & Research Centre, is a highly committed professional, who is able to utilize his Experience & qualification to good use Managine the Group's ambitious healthcare and education interests. A self driven and workaholic entrepreneur with a Vision, to take Hospital & Educational business to a new heights. Currently under his able Leader ship & guidance & , Hospital is having strong footholds in Agra region, & planning to expand the health care services to the other adjoining cities & town, to full fill the Dreams of Respected Chairman Dr. V.D. Agarwal to comes true. MS, M.Ch (Cardiac thoracic & vascular surgery) – Medical Director- Pushpanjali Hospital & Research Centre Agra. Is a senior Consultant, with more than 45 years of experience. 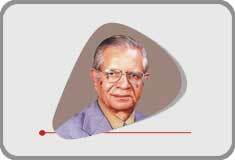 Dr. Kapoor was trained in Pashkent Medical Institute USSR. Before joining Pushpanjali Hospital Dr. Kapoor has worked as Director Medical & Health Services in steel authority of India for 30 years, also worked Chief Medical Superintendent in Shanti Manglik Hospital Agra. Under his able leadership & guidance all the medical activities & healthcare services are being performed. He is dedicated to serve the humanity with medical care with EMPATHY. B.Com., LL.B, F.C.A., I.C.W.A. (I), D.I.S.A., is a fellow practicing chartered accountant and a law graduate. He is an expert in the field of taxation and project financing. 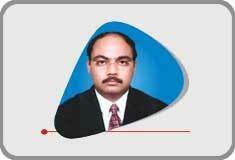 He is the senior partner of M/S Pathak & Co., Chartered Accountants. The firm is providing expert services in the areas of direct and indirect taxes including tax planning and consultancy, representation in conncection with assessment and appeals before various Income Tax Authorities upto ITAT level, Internal and systems audit, tax and statutory audits, ERP design, development and implementation, project financing and consultancy, debt restructuring, capital restructuring, corporate and allied laws, amalgamations and mergers etc. 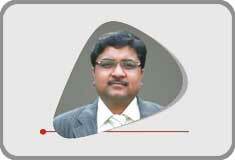 He is a leading Chartered Accountant and Ex-chairman of Agra Branch of the ICAI. He is member of Bhartiya Vitt Salahkar Samiti, treasurer of Agra Vikas Manch and is also actively involved with various other social organizations. 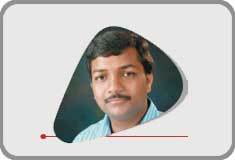 He has been actively associated with the Pushpanjali Group since the beginning.